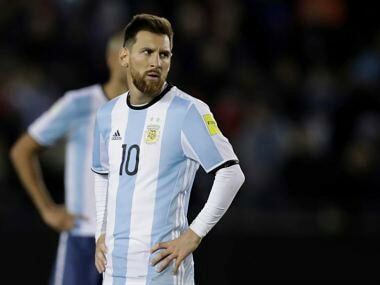 Buenos Aires: Argentina's poor run of results in the South American qualifiers has left everyone contemplating the unthinkable: a World Cup next summer without Lionel Messi. 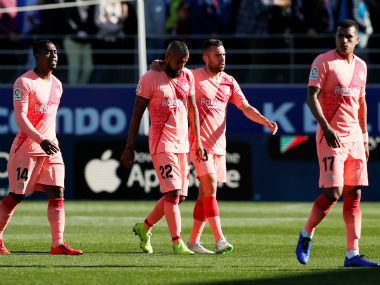 Veteran coach Cesar Luis Menotti described the latest performance as "scary" and had some choice words for coach Jorge Sampaoli, who like his predecessors is struggling with how best to use Messi's verve in a team which has failed to find its spark. "The truth is, it was a shock. Seeing all this was a shock! I played two games against Venezuela: in Caracas we won 7-0 and in Rosario 11-0. Eighteen goals in two games! "And now I see that it's hard for us to beat Venezuela? There's something that we're not doing well," said Menotti, who led Argentina to World Cup glory in 1978. The goals have dried up. Argentina were on a run of 309 minutes without scoring in these qualifiers when they finally got an own-goal against Venezuela. Menotti levelled most of his scorn at the tactics used by Sampaoli, the former Chile and Seville coach. "I don't understand the team." "It's not the same thing to lead Seville as it is Argentina. Especially if you have Messi." 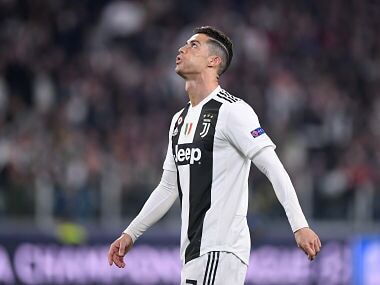 The diminutive 30-year-old cuts an increasingly isolated figure on the pitch, bereft of teammates who can give him the right pass at the right time, according to former Argentine international Alberto Marcico. "Messi is more isolated, in the past he was better served by those around him." 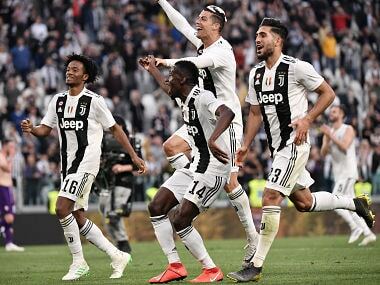 Messi's current lieutenants, Juventus' Paulo Dybala and Inter Milan captain Mauro Icardi, haven't been able to provide the service the star is used to in his slick club side Barcelona, and more often than not he is crowded out by defenders waiting to pounce when the ball finally comes. The over-reliance on Messi is striking for Menotti, saying Sampaoli must change how Argentina use him. "They use drones, they give talks, they put put fourteen guys to work and when he gets the ball, Messi bolts forward to see if he can take everyone on. It's very difficult," he said. "Football is like Tango. You can't run around all the time." "Football has pause. It has acceleration, it has rhythms, it has changes. The way Argentina play makes you dizzy, and that's the worst enemy of a footballer," Menotti told FoxSports. For commentator and former player Diego Latorre, Argentina's problems go deeper than Messi. "Psychological issues play a very important role in how a game develops, and this team still has a block in its nervous system that can't be turned off." Argentina's priceless forward line is too easily shepherded down blind alleys, playing "like a pack of hungry wolves without teeth who finish up meekly in a corral after 90 minutes," Latorre wrote in the daily La Nacion. Aside for an over-reliance on Messi, the team has a heavy psychological burden to bear. "They lost three finals, and that's heavy," said Marcico, referring to the 2014 World Cup final — lost to Germany in extra-time — and successive Copa America finals in 2015 and 2016. Now, Argentina have just two matches to redeem themselves, hosting fourth-placed Peru in Buenos Aires next month before an awkward final match away to Ecuador at altitude. The top four in the table qualify for next year's finals, which the fifth-placed team will face a play-off with New Zealand. Former national coach Marcelo Bielsa, now with Lille in France, remains confident that Argentina will prevail in their two remaining matches. "I am absolutely convinced that Argentina will qualify," he said. But the fear remains that the burden of a nation's expectations can crush the best of talents, and leave mighty Argentina without a place at a World Cup finals for the first time since Mexico 1970. And it could also leave the world without the spectacle of arguably its greatest player slaloming through defences in Russia next July, depriving him of one last chance to crown his career with ultimate football glory.